Micromax is the second largest smartphone brand in India with a 22% market share, closely trailing Samsung at 26%, according to IDC. The homegrown smartphone brand is now gunning to topple Samsung by Diwali to become the largest smartphone player. According to IDC India, local smartphone brands now account for over half of all smartphone shipped into India, which is also the fastest growing and the third largest smartphone market in the world. So what is it that local players are doing right and global players like Samsung, Sony, LG and others are not? Apart from being the third largest smartphone market, India is also the largest feature phone market in the world. Even though the market share of feature phones is declining, these low-cost phones still account for almost 85 percent of the overall mobile phone market, according to IDC India. Out of the total smartphone market, 67% of devices shipped are priced under $200. The biggest pie of the smartphone market, hence, lies in the low-cost devices targeting users who are upgrading from a feature phone to a smartphone. According to IDC India, the golden formula of the Indian smartphone space is to have a sub-$200 smartphone with a large display (phablets account for a third of all smartphones) and dual-SIM slots. This is something that local smartphone brands have caught on quickly while the global brands are yet to realize it. A quick search reveals that Samsung has just one, LG has a couple while Sony has no smartphone with a 4-inch or bigger display priced below Rs 10,000! And that is where most of the action is happening. “The growth in the India smartphone market is driven by consistent performance by local vendors who accounted for more than half of the total smartphone market in 2Q13. These vendors have been scaling up operations owing to rising migration of the user base from feature phones to smartphones,” says Manasi Yadav, senior market analyst with IDC India. This is a repetition of the scenario that unfolded around five years ago when local brands like Micromax first emerged and launched dual-SIM feature phones in India. Nokia, still the market leader at that time, ignored the trend, mistaking it for a fad. Nokia did not want to enter the dual-SIM market because it would have been detrimental to its carrier partners elsewhere. Finally, after losing out to local vendors and Chinese manufacturers in the feature phone segment, Nokia had to launch dual-SIM phones in 2010. The same is now happening in the smartphone space. Tier one smartphone brands are ignoring the writing on the wall in the world’s fastest growing smartphone market in order to cater to a global market. This could be a dangerous thing to do especially at a time when the market is growing at a rate of over 150 percent and with 85 percent users still using feature phones. Majority of users who upgrade from feature phones to smartphones will in all likelihood go for a local brand considering the fact that there is no significant competition from tier one brands in the entry-level smartphone space. The biggest barrier for local brands is the ability to convince users that theirs is a quality product but tier one brands are making it easy for them to make the first sale. If users are convinced that the local brand provided them the most bang for the buck, their next product is also likely to be from a local brand rather than a tier one vendor, who is most likely to have a better quality product but at a premium price. Once the taboo of using a local brand is left behind, both the users and brands would evolve to higher-end segments of the smartphone market. 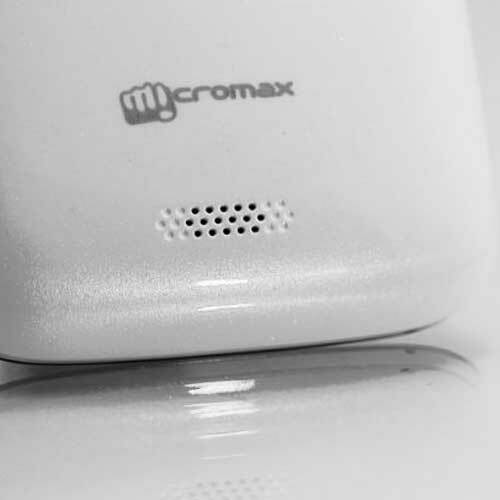 This is already happening, at least for Micromax, which last week launched a Rs 20,000 smartphone. Over 11,500 people preordered the Canvas 4, a Rs 18,000 smartphone, without knowing its price or specifications. Who would have thought that any one in their right mind would invest that sort of money in a Micromax smartphone? While tier one brands would continue to have their own set of customers, who value the brand, quality and (the promise of) reliable after sales service, they should be wary of local brands launching expensive products and people lining up to buy them. Unlike a tier one brand, where a new product turnaround time could be anything between nine to eighteen months, local vendors can refresh their product portfolio in a single quarter. After all, there isn’t much local R&D, industrial designing or software work happening when it comes to local brands – it is all done by OEMs in China and elsewhere. All that needs to be done from here is to determine the product and the quantity.